يقع فندق شقق بريك فري فورتتيود فالي في منطقة تتمتع بمعالم كثيرة، وتعتبر المكان الأنسب لاكتشاف هذه المدينة رائعة الجمال و ما يحيطها. يقع مركز المدينة المثير على بعد 2. Km فقط. يقع هذا الفندق الحديث على مسافة قريبة من المعالم السياحية الشهيرة. إن شقق بريك فري فورتتيود فالي حريص على توفير الراحة للنزلاء، فلا يوفر الموظفون جهداً في تقديم أفضل الخدمات وضمان حسن الاستقبال. يقدم الفندق فرصة للاستمتاع بشريحة واسعة من الخدمات بما فيها: واي فاي مجاني في جميع الغرف, تسجيل وصول/خروج سريع, تخزين الأمتعة, واي فاي في المناطق العامة, صف السيارات . تتضمن كل غرف النزلاء وسائل الراحة والتسلية المصممة خصيصاً لضمان الراحة القصوى للضيوف. يقدم الفندق العديد من الفرص للاستجمام كمثل مركز للياقة البدنية, حمام سباحة خارجي. إن شقق بريك فري فورتتيود فالي هو خيارك لخدمة الفنادق الراقية في المدينة. مكتب الإستقبال مفتوح من 08:00 صباحاً إلى 07:00 مساءً خلال أيام الأسبوع ومن 09:00 صباحاً إلى 05:00 مساءً خلال عطلة نهاية الأسبوع. الضيوف الذين سيصلون خارج هذا الوقت يطلب منهم التواصل مع العقار مباشرة قبل موعد الوصول لترتيب هذا الأمر. 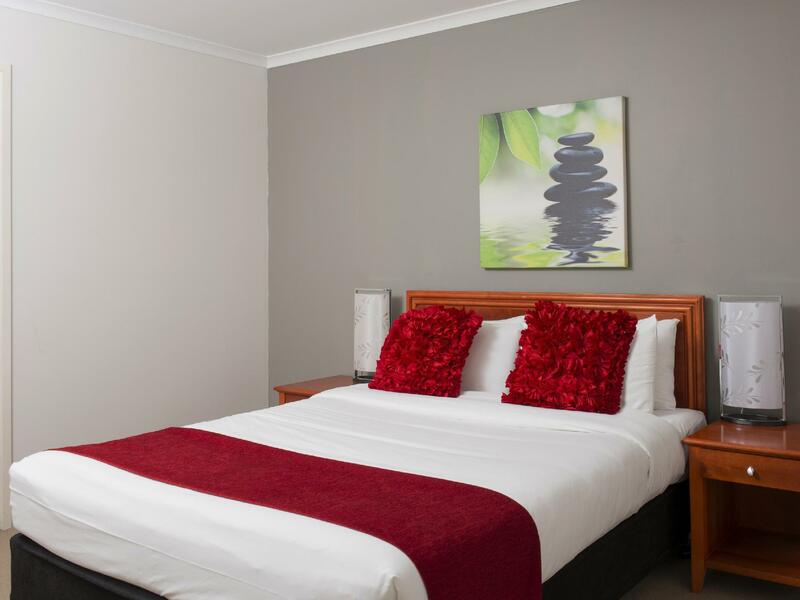 Nice size rooms with ensuites, location and on site parking. We stayed only for one night with another couple, the staff were friendly and helpful, rooms were a great size, I feel the rooms could do with a little maintenance, both bathroom rails were missing and the toilet seat on one was not even attached to the bowl. Other than that we enjoyed our stay, walking distance to shops and restaurants. Enjoyed our stay at Breakfree. It was in the area we wanted and found it convenient. The bed was extremely comfortable and the bathroom was very clean. The walls were starting to look worn but that didn't affect our stay. Every time I stay in Fortitude Valley, I always book here. The staff is always extremely lovely. It's cheap and close to the main strip. In the one bedroom room there's a fridge bigger than the one I have at home as well as a dryer and washing machine. AND a dishwasher! For $150 a night, that's amazing! I like this place but it is becoming dated......some work needs to be done to freshen it up and perhaps modernise it....one thing that is so frustrating here is the amount of trouble I have with the wi fi.....as someone who lives in Asia it is ridiculous to come back to Australia and be given a 2GB limit that does not even work. They sub their wi fi management out to a remote company who could not give a toss if it works or not.....I was there for eight days and they didn't fix it in that time.......completely ridiculous. Lucky I was able to use my mobile hot spot. We went to a Jezabels concert. Only five minutes walk from venue. Very clean and bright. Ground floor, big balcony comfy bed and very clean. Large bathroom rm 11B. I'd book it again. Close to Yum Cha taxis everywhere and we had PARKING INCLUDED! There was 10 of us up there between 2 apartment rooms and they were so well set out. The view was lovely. Enough bedding for all of us. Definitely would stay again, location is amazing 10 minute walk to the Valley. Can't go wrong. Excellent Staff help, pricing was fantastic and we were very happy between addresses and needing somewhere central to stay. The parking was very handy and always had something available at no extra cost... thank you! Lots of dining and entertainment options within walking distance. I would highly recommend this venue and stay there again any time I am in the city for a function or a show. The room is small but adequate. I like to stay at this hotel as there are laundry and cooking facilities in the room. 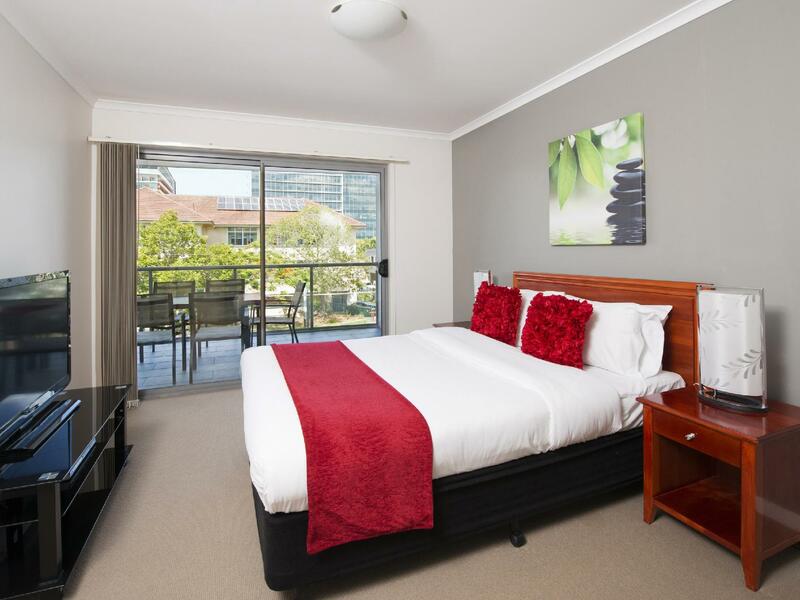 Location wise, it is only 15 minutes drive from Brisbane airport, and close to many eatery. This was an awful room, not at all like the photos on the website. No balcony, no full kitchen. Very small window to concrete lightwell, noisy plumbing, unfinished carpet, bathroom needs re-grouting, tiny tv. Strange odour. We felt like we were in a basement. Perfectly usable as a place to sleep and shower, but upset it was listed as a 4 star room, and that the photos were misleading. We arrived and was told we were in a basement room. The room was small with no natural light We refused. We were then charged to upgrade to a room with a window, balcony and large bathroom. There was a hole in the wall and the aircon fan unit faced the door so we got blasted each time we went outside. The room was a good price and was a very quiet place. The shower was clean and worked well. I would say here again on my own. A bit embarrassed to bring a friend. They do not have Twin Bedding either. Large and comfortable room, even larger (!) patio, gym and parking access, very friendly staff, a pool, and walking distance to shops, bars, and restaurants. Got a great price through Agoda too, so I was extremely pleased with my stay there. Enjoyable and comfortable stay. Excellent service from duty manager Nick? who was very helpful when I had lost a copy of my airline ticket and printed off a copy which I emailed him. Great location close to restaurants and just around the corner from airport tunnel toll road which takes 10 mins.Room has self catering with microwave, toaster and washing machine,even iron and board.Has free car parking which I utilized for my rental car.Would stay again. 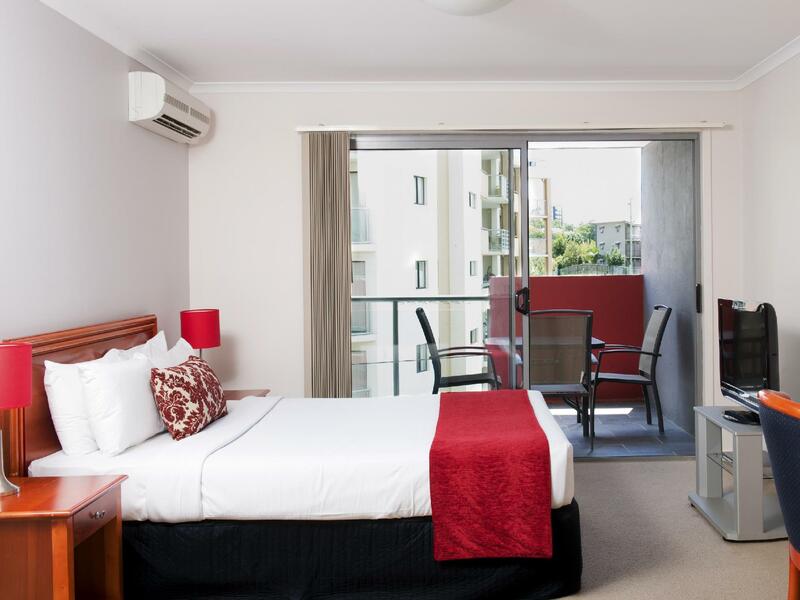 We stayed at the Breakfree Fortitude Valley Apartments for one night only while we attended a family wedding. While they were clean and tidy the rooms were quite expensive. One of our group had a room with no windows at all in the apartment. 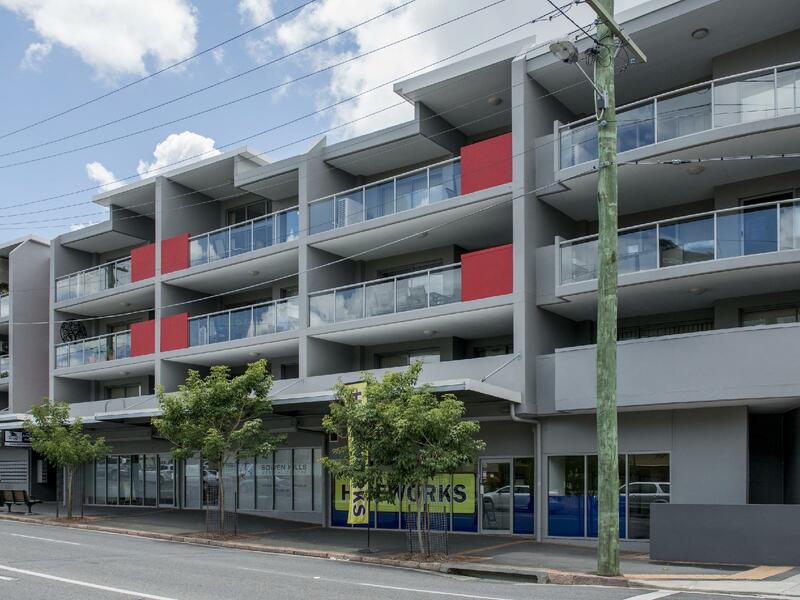 Walking distance to shops and restarants, on site parking and large rooms. Value for money with 5 of staying in a 2 bedroom apartment, good location. Rooms need a little maintenance, staff friendly and helpful.